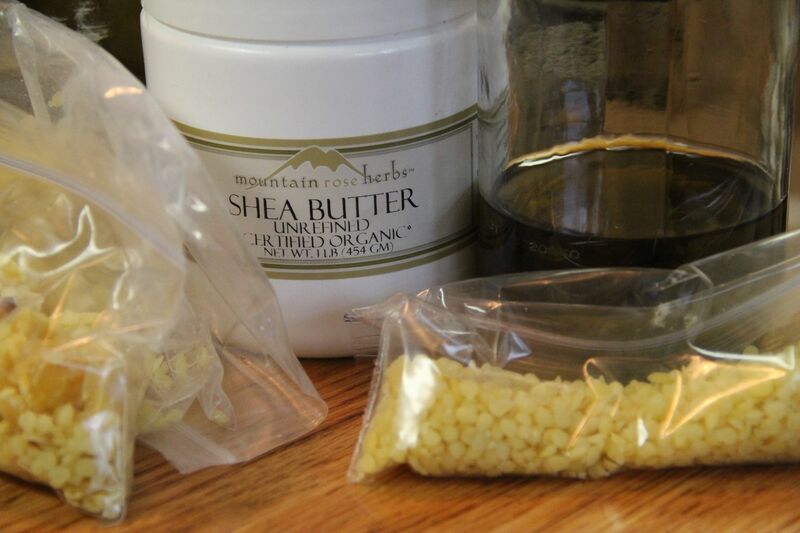 Mothering Herbs Blog and Store – Organic Herbs, Herbal Products, Workshops, Herb Walks, and More! Introducing Mothering Herbs Herbal Subscription Boxes: This is a monthly (or quarterly) subscription service that ships a box filled with herbal goodness directly to the subscriber’s door (or you can gift it to someone!). 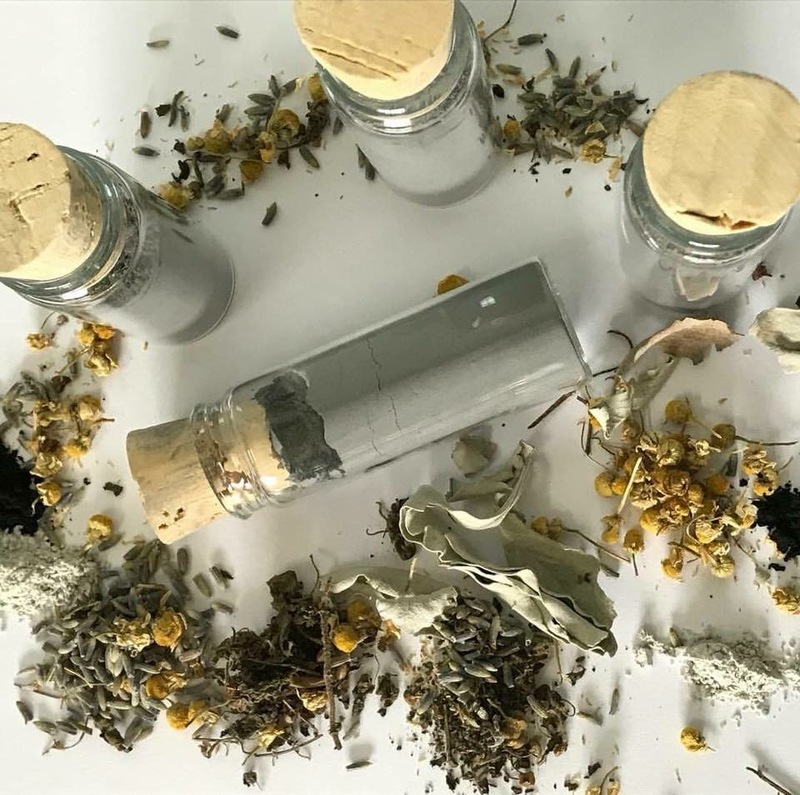 Herbal boxes contain all kinds of different items, including herbal balms, syrups, teas, kits, and other items that anyone who enjoys pampering, plant medicine, and/or herbalism will enjoy. This year, why not make it easier on yourself and buy yourself or gift a subscription to Mothering Herbs Herbal Subscription Boxes, a gift that keeps on giving all year long. 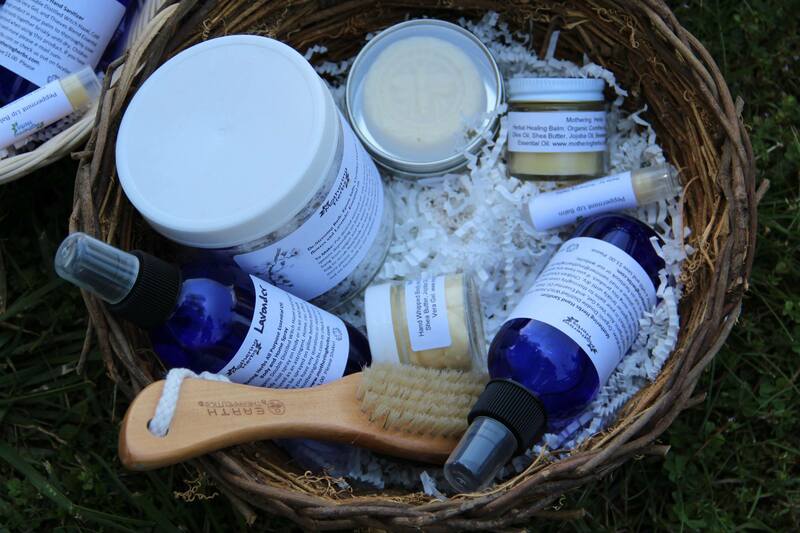 Pampering Box: receive something fun each month like a handcrafted herbal infused bath, body butter, lotion, scrub, serum, etc. This can be gifted to someone or yourself for one box , 12 boxes (one each month), or any variation between. Herbalist box: Learn a new skill each month. Each box will contain an herbal product kit, with full instructions and hard to find ingredients. Learn how to infuse oils, honey, vinegar, create balms, lotions, oxemels, ciders, tinctures, basic plant identification, poultices, first aid, syrups, spa and pampering recipes and more! Sign up each month or gift someone or yourself with 3, 6, or 12 months (or anything in between) of herbal learning. Specific Box: Control Freaks unite! Plan ahead which boxes you would like to arrive and when, what items you want in each box, etc. You decide as many details as you like. Herbal Medicine Cabinet: Perfect for the individual or family that would like to herbalize their medicine cabinet. 12 months of items to create a fully stocked herbal medicine cabinet. 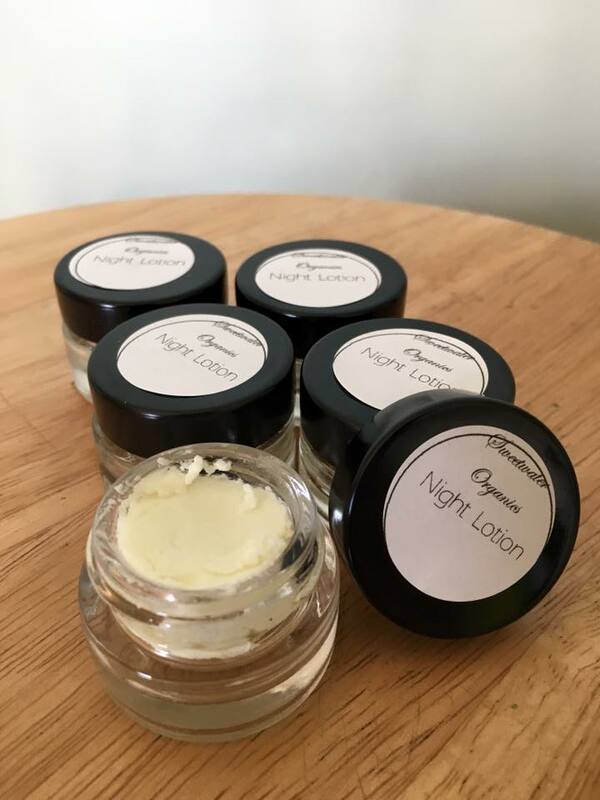 Boxes contain herbal Healing Balm, Soothing Balm, Activated Charcoal Balm, Fire Cider, Elderberry Syrup, Activated Charcoal Soap, Bug Off herbal bug spray, Sun Soother Spray, Athletic Balm, Aches and Pain Balm, Herbal Cold Care Tea, Elderberries, Tranquil-a-Tea, and other items. Mini Box: 2 to 3 items 25.00 each (will have at least a 25-35.00 value). Herbal Healing Box: 5 to 7 items 40.00 each box (will have at least a 40-50.00 value). 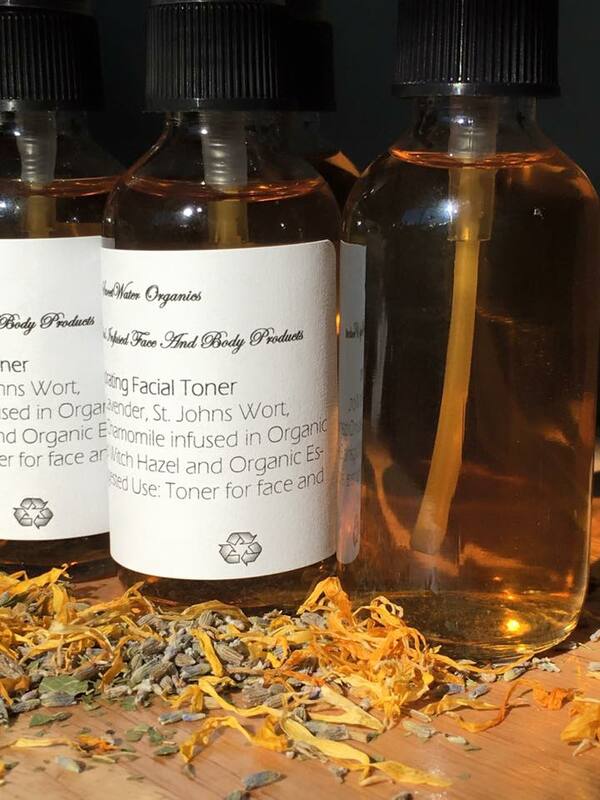 All boxes include high quality, artisan-produced, hand-crafted organic or sustainably wild-crafted from our own organic farm, Herbal infused products. The monthly subscription box costs $35.00, and comes with items valued at more than $50. Some of the things that have appeared in the box include full size bottles of elderberry syrup (20.00), Sweetwater Organics Lotion (29-30.00), Healing Balm (12.00), Herbal Teas (8.00), Fire Cider (20.00), Holy Basil Tincture (15.00). There is real joy in opening up a box to discover what herbal goodness is inside. That joy is something that can be spread out all year round, making it a great gift for the upcoming holidays. And, if you buy a 6 or 12 month subscription, you’ll receive a discount as well. You may have wondered what Mothering Herbs has been doing all summer? Well… We have been busy moving farms! 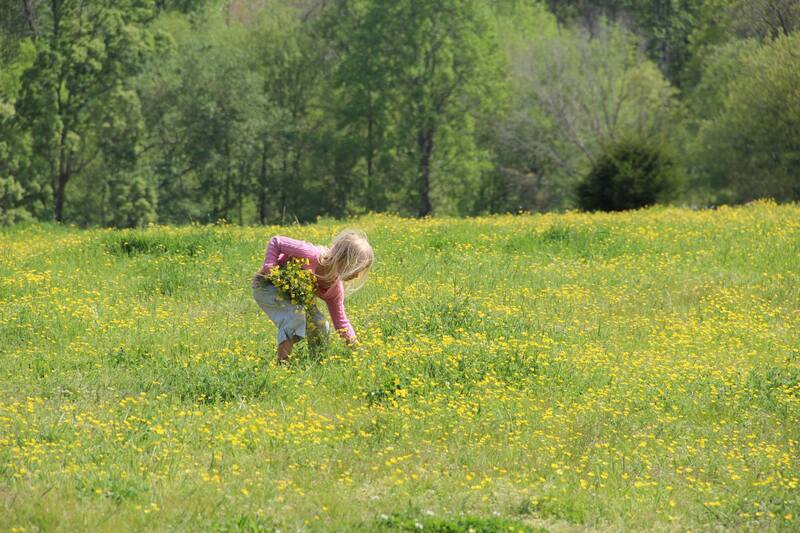 We bought a farm only 20 minutes from Florence near the beautiful Natchez Trace. 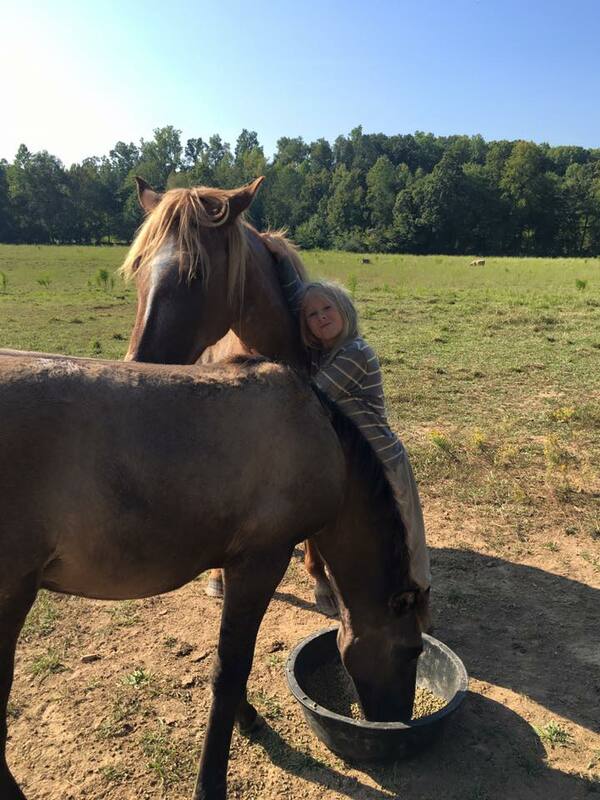 We are also honored to have become Caretakers for some beautiful Native Line Horses from Sacred Way Sanctuary, just a few minutes down the road from our Farm. 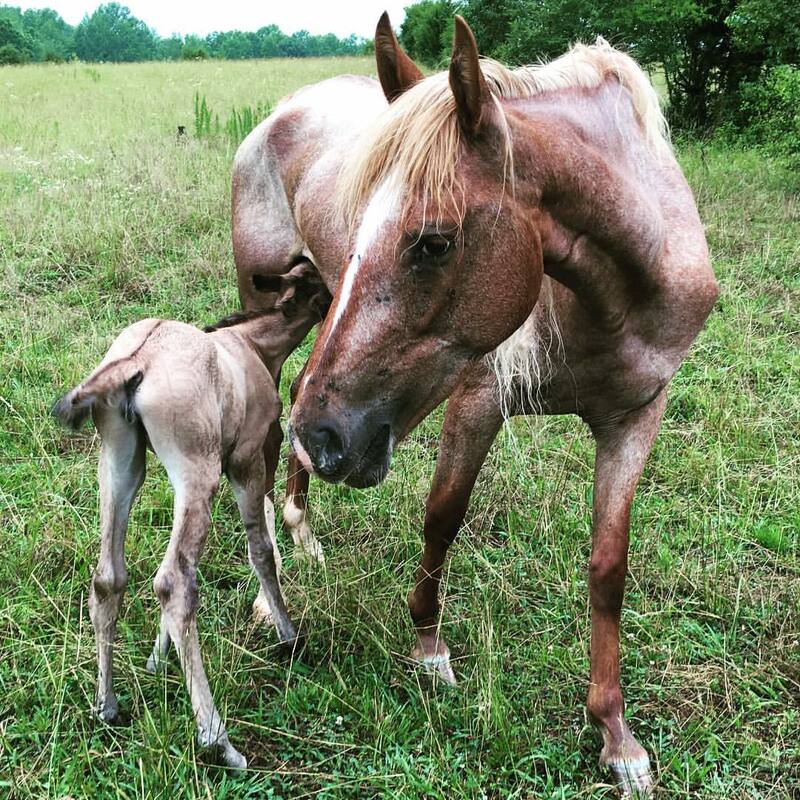 This is Red Willow and her baby, Sweetgrass, shortly after she was born in June. This is the 12×20 cabin we lived in from May-August, during the hottest summer on record in Alabama. Our open air kitchen was fun and challenging at the same time! The views every morning are amazing! 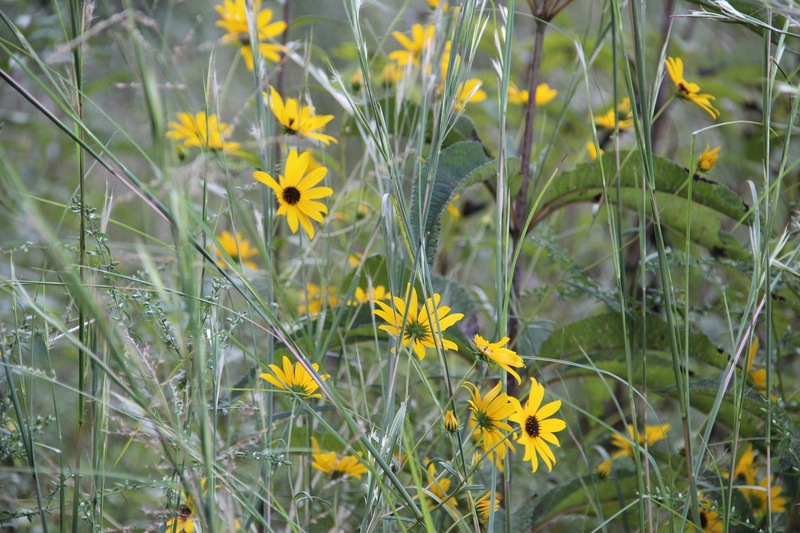 We went to South Dakota for a few weeks in June and brought back some native Sweet Grass plants. This is our first braid from our plants. 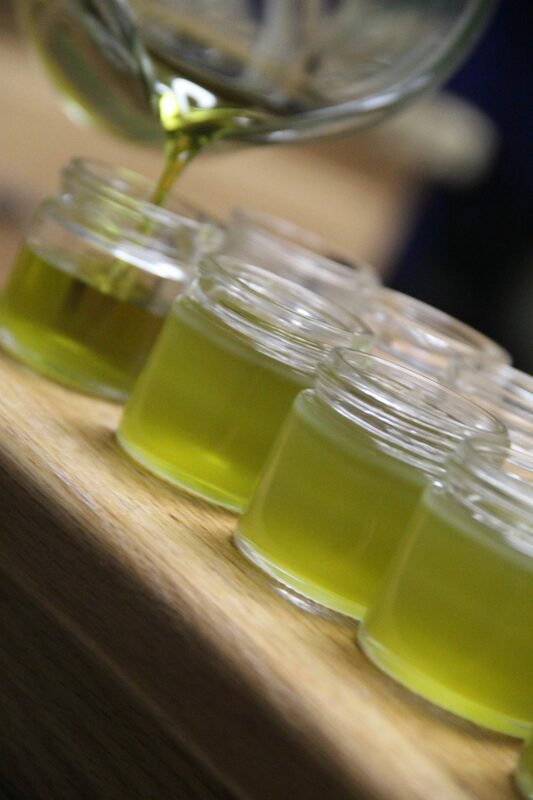 We hope to offer many herbs, and herbal products from our own plants soon. We love our new horse family! 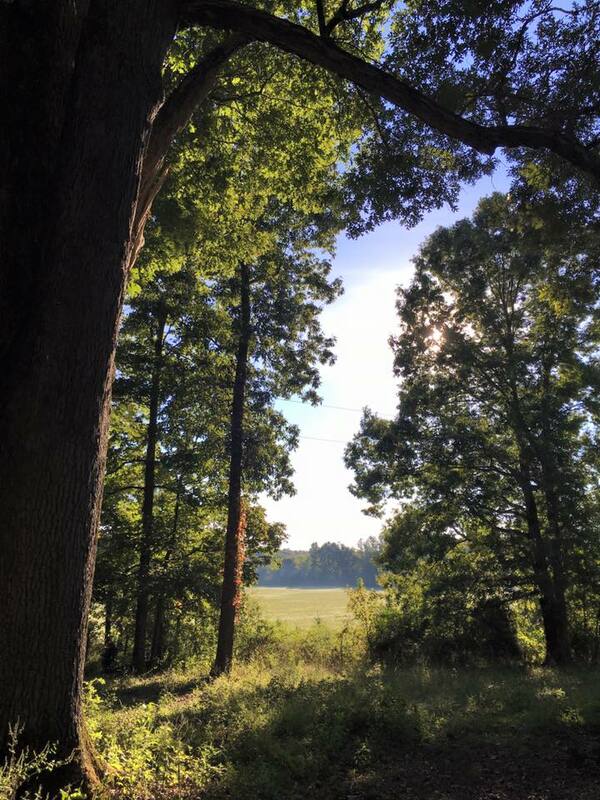 One of the big trees on our wooded sections of the farm. We are back to creating Organic herbal products in our new home and making deliveries and orders for farm pickup a beautiful 20 minute drive from Florence. We are filling Elderberry Syrup, herbal tea, balm, gift basket, and special orders every week. You can order via website, facebook page, and e-mail summer@motheringherbs.link. Posted on September 26, 2016 Leave a comment on New Farm! We started out with a day hike with yoga to the “Big Tree” in the Sipsey Wilderness. Ashley asked around her classes if anyone would like to go. The response was immediate and huge. Women loved the fact that we were incorporating Yoga with hiking and wanted more! 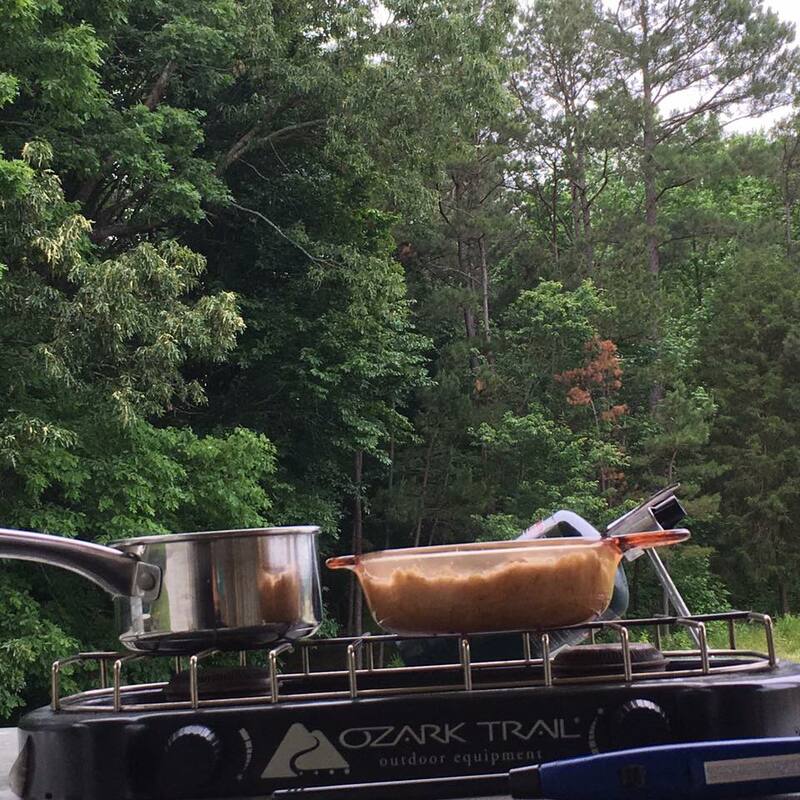 Next we planned an overnight beginning backpacking class for Cane Creek Nature Preserve in Tuscumbia, AL and a five day trip on the Bartram Trail in North Georgia. This blog is about our latest Backpacking and Yoga adventure on the Bartram Trail October 23-27, 2015. W illiam Bartram was a botanist and explorer best known for walking approximately 2,400 miles over eight southern states between 1773 and 1776. He was looking for plants and probably “discovered” more new species in the biologically diverse Southeast than anyone else of his time (other than the Native Americans who already knew these plants firsthand). He also managed to document the Cherokee and wild landscape of the Southern Appalachians with a sense of respect and humanity that was unheard of for his time. Bartram may not be a household name today, but in the late 1700s, he enjoyed celebrity status, thanks in large part to his book, Travels, which documented his five-year exploration of the Southeast. The Bartram Trail crosses over some of the most scenic mountains of North Carolina and Georgia, with many side trails leading to views of the Blue Ridge and the Smokies. After meeting two weeks before for a gear check and a class, Nine women met in the parking lot of Shoals Yoga and drove to Chattanooga where we ate lunch and bought a few last second supplies. Then we were off to Rabun Bald in North Georgia. We arrived just as the sun was setting. The colors of the trees, in peak fall color with the sun shining on them, was breathtaking. We found a campsite near the trail head, took one car to the other trail head off Warwoman Road, and made camp and dinner. After dishes were done using Leave No Trace principles, we used organic sage to smudge and talked about our adventure together. Then it was off to bed down in our tents in the woods. Owls hooted, crickets chirruped, and some slept. we headed up the Bartram Gap to Rabun Bald. We enjoyed a break with Yoga to stretch out our sore muscles. A last push up a steep section and we arrived at the top of Rabun Bald (4,696 feet) which is the second-highest peak in Georgia. At the top we climbed what remaines of the first fire tower for this area. It was constructed in the 1930’s. The fire tower was operated by the United States Forest Service until the early 1970’s. After the fire tower was taken out of service, a Youth Conservation Corps(YCC) crew dismantled the tower’s uppermost component, a metal-framed enclosure with glass windows that sat atop a stone base. The YCC crew replaced the metal with a railed wooden observation platform. We enjoyed lunch at the top of the observation tower and watched clouds blow over the peaks. After lunch, we packed up and headed down the Bartram Trail to Salt Rock Gap and found an amazing camp with a small stream just a short jaunt up a small off trail from us. The ladies set up camp, started a fire (one woman brought a striker and started our fire without matches! ), and prepared a delicious dinner of Chicken-Noodle-Curry with fresh veggies. Around the time we were relaxing around the fire, chatting, eating and enjoying dinner we saw headlamps heading our way down the Bartram Trail from the North. It was a group of first time backpackers who needed a campsite in the worst way (one of their party had sprained her ankle). They camped across the trail from us and we offered them left over dinner which was happily eaten. One of the ladies on our trip was a nurse practitioner and had worked at the same Community College Outdoor Leadership Program I had many years ago. We went to visit the lady with the sprained ankle and got to knew her. With her permission, I made a comfrey poultice for her ankle (I am an herbalist and comfrey is one of the items we had in our herbal first aid kit for the trip). Then it was back to our campfire to continue the belly rolling laughter. We finally went to bed and slept very well. We all slept in and got up to begin to make Buckwheat pancakes, Lyons coffee, and organic herb tea from Mothering Herbs. We ate, cleaned up, and went to check on the sweet lady next door. Her ankle hadn’t swollen much more so our Nurse Practitioner used Rock Tape to wrap her ankle so she could walk out. We ended up talking and bonding with a woman in her group and invited her to practice yoga with us. Ashley led us in one of the most powerful yoga sessions I have ever experienced (check out her offerings at ashleybakeryoga.com). The energy was palpable, and everyone was touched if not emotional before we were done. Ashley then led us in a guided journaling exercise. Next was the day hike to the top of Rabun Bald for several ladies. Several stayed in camp to knit, journal, talk, and create an awesome fire. It was a perfect rest day. Once everyone was together again we made dinner together (Pesto Pasta with Summer Sausage). Then it was fire time with laughter, talk, and so much more. Our last day in the woods we woke early in the dark, cloud covered, forest to cook a quinoa breakfast pot, coffee, tea and pack up. Around the time we got most everything packed the rain began. It was a light sprinkle here and there with clouds floating around us. It was perfect weather for backpacking out. We headed off past flattop, over hills, around contours to Wilson Gap and then on to Courthouse Gap where we finally, and gratefully, found our car parked. It was a hard, long, day and I was proud of all of us for hanging in there and keeping going. We transported ladies to their mud wraps/massages and picked up the other car and got everyone to Kingswood Resort and Spa for hot showers. Then we all headed to Universal Joint for dinner in Downtown Clayton, GA. It was a fun place with great service and food. We piled back into the cars and headed back for foot massages, Healing Balm on sore/bruised areas and sweet sleep in warm rooms under clean sheets. Our last day of the Adventure had us enjoying Yoga class with Ashley, Massages, Steam Room, and Jacuzzui. Bliss! What an amazing way to end a Backpacking trip. After our pampering we packed up and headed to Grapes and Beans for lunch. This is a local and small Farm to Fork place with yummy food and drinks in Downtown Clayton Georgia and totally a spur of the moment find. We found a small Vineyard (Stonewall Creek Vineyards) that wasn’t far away and decided to go for a tour and a wine tasting. They weren’t open on Tuesdays but were gracious enough to open their doors and give us a private tour and wine tasting before our drive back to North Alabama. What an amazing five day adventure with these wonderful, strong, compassionate, women! The overall feeling was that we all wanted to stay in the woods longer. Connections were made, friendships rekindled and formed, and plans made to connect again, soon! Contact Ashley@ashleybakeryoga.com or Summer@motheringherbs.link to learn how you can join us on our next hiking/backpacking and yoga adventure. Posted on November 1, 2015 November 14, 2017 Tags Cottonwood Farm, Family, Food, GMO-Free, Herbal Dry Brine, Holidays, Mothering Herbs, Organic, Pasture Raised Turkey, Recipes, Thanksgiving, Traditions2 Comments on Herbal Dry Brine For The Holidays! 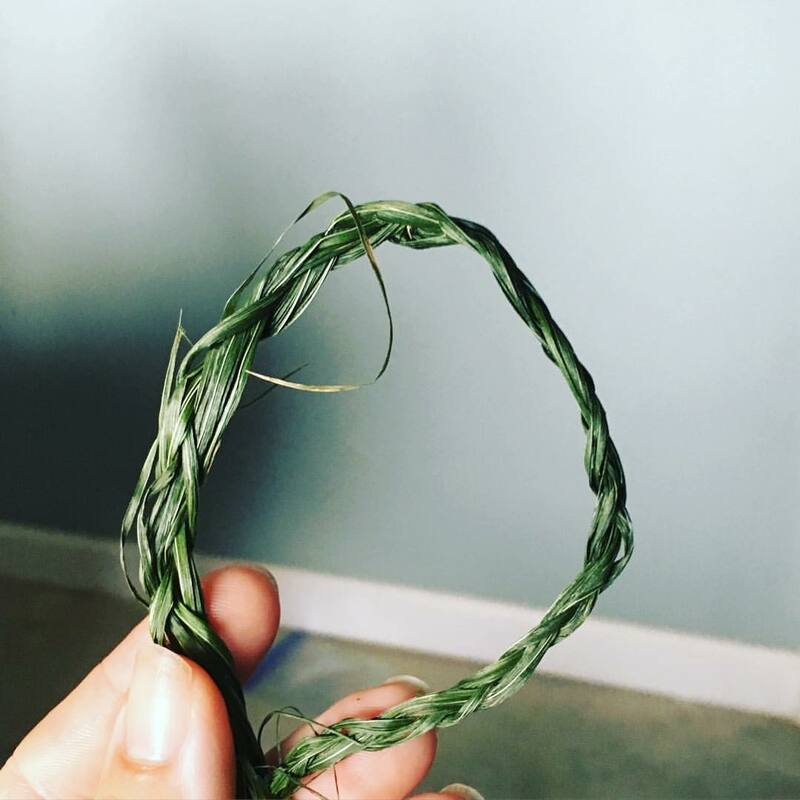 What is CSH (Community Supported Herbalism)? CSA stands for Community Supported Agriculture. It is a model most often used by vegetable farms: you purchase a share at the beginning of the year and then receive a share of the produce on a regular basis. Currently, many other groups (herbalists, fermenters, etc.) are doing the same thing to promote their artisanal, organic, and natural products in their communities. Mothering Herbs herbal CSA/CSH is a bit different in that shares will include herbal products (balms, syrups, vinegars, teas, etc.). Joining a CSA/H is a great way to support your local food system, explore new herbs and foods, receive herbal info and recipes in every monthly newsletter, get to know the people who grow and produce your food, and live more sustainably. 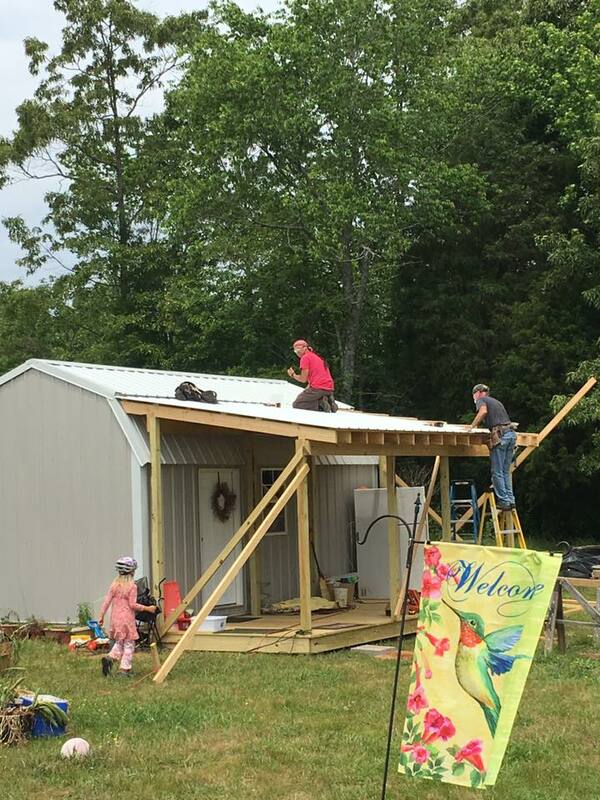 Mothering Herbs is proud to be the first Herbal CSA in North Alabama! 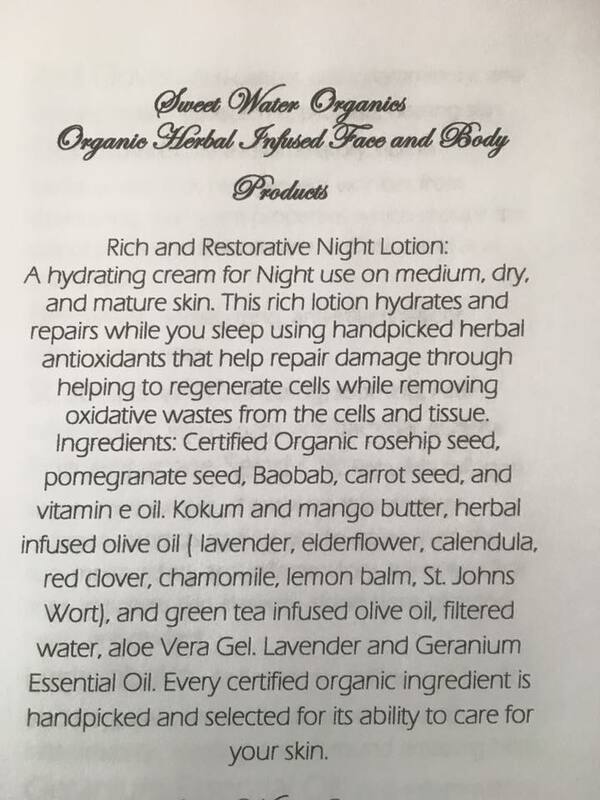 This is how it works: First ask yourself this question; would you like to receive, once a month, nourishing face and body creams, herbal bath soaks, medicinal herbal balms, delicious herbal teas, and many more of our products? These could be chosen by Mothering Herbs to be in tune with the seasons or you have the option to pick the items you would like in your box. The order forms need to be submitted the month before your box is due for pickup as some items need four weeks to make (4-Thieves Vinegar, Infused Oils, etc.) or you can submit all the forms at the beginning of your CSH. Small share= 2 products per month $32.00 per month or $86.40 for three months, 172.80.00 for six months, and 345.60 for a year. You can pay by the month (payment due one month before the boxes are prepared) or you can pay for the entire season (3, 6, or 12 months) up front and get a 10% discount! Know someone who might be interested? Get them to sign up and you get 10% off your share! Do both and get 15% off! Want to gift someone a share? We will ship! 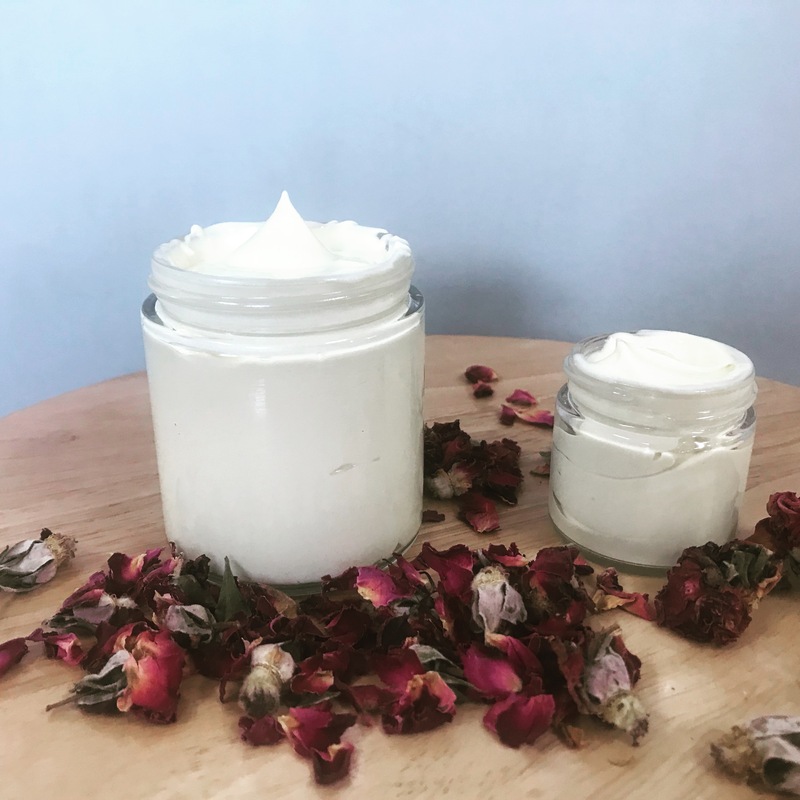 Each share will contain educational information on each product included, fresh, and small batch blended herbal products as well as recipes and herbal education. And, you will be supporting a local, small, herbal business in your community. You might be asking yourself WHY buy into a CSH? Why not just order the week of and have your local herbalist deliver? Good Questions! A CSA/CSH allows the farmer/herbalist to know who is buying before the season, month, holiday rush, etc. This also allows them to have a better idea for budgeting, buying products to create items, and feel a little more supported by the local community. At Mothering Herbs you can rest assured you are supporting a Family! We are a a husband and wife and two small children living on a local, organic, sustainable farm, with animals, herbs and more! I am a stay-at-home Mom running a small cottage industry herbal business and farm. When you choose to buy from us, you support our family buying a microscope for our children to study with, going on a field trip across country, or just simply adding a little more to our holiday table. We are always grateful for our amazing customers!!! 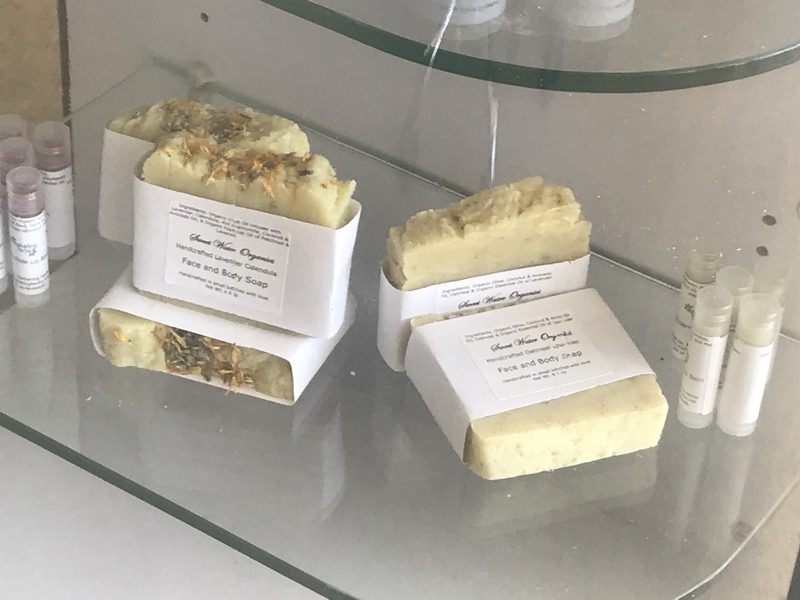 Our Products: All of our products are made in small batches, by hand, with locally-sourced and organic herbs and ingredients. 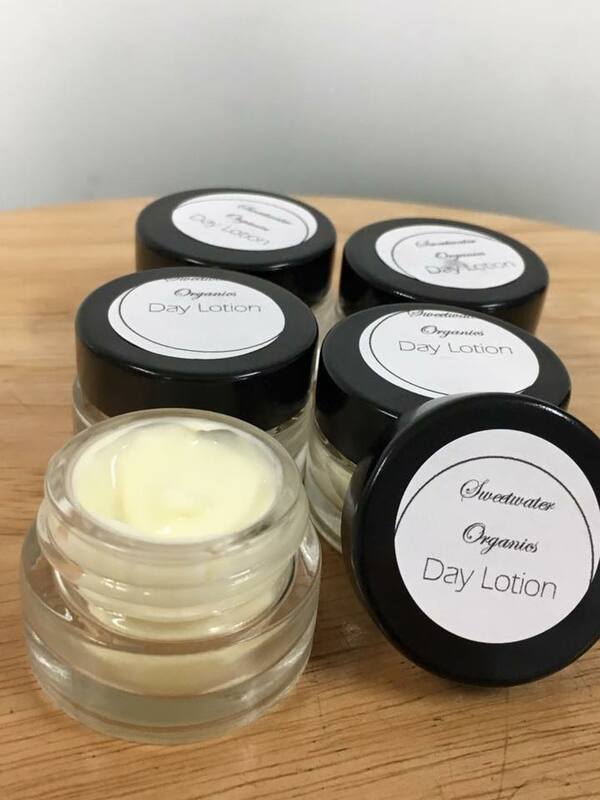 Shares include handmade, organic products that are seasonal favorites and may include the newest creation of the season as well. 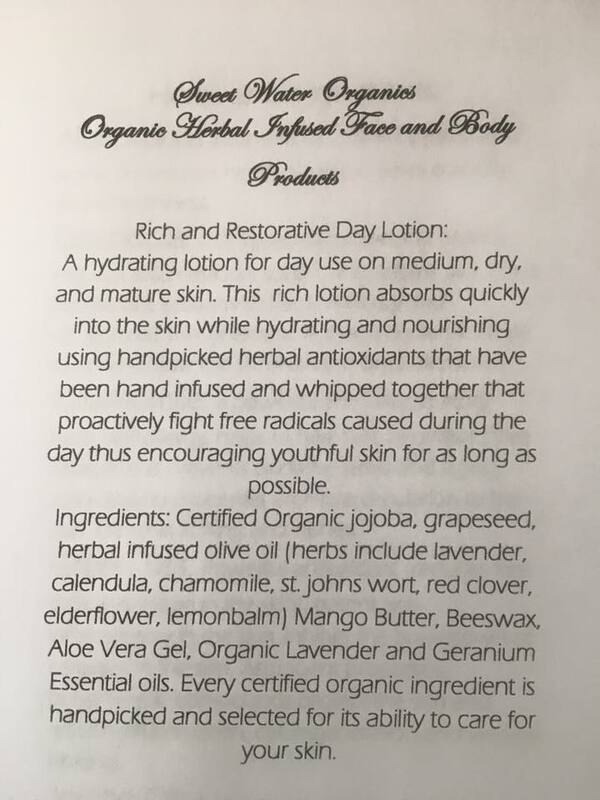 They may include tincture, balms, herb infused vinegars and oils, body/face cream, baths, sprays, syrups, honeys, teas, and more; all seasonally inspired. 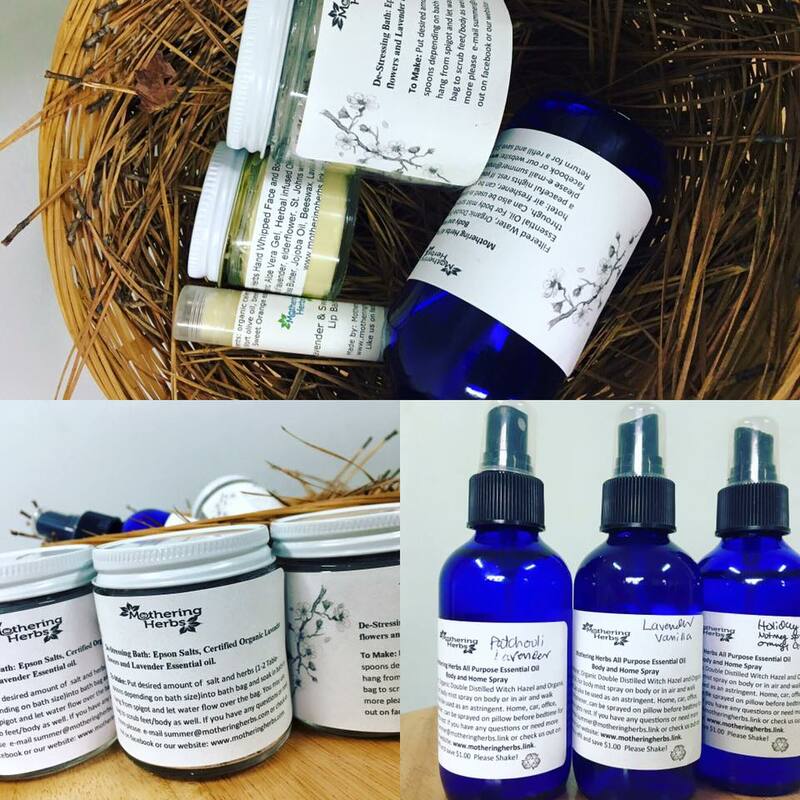 We will also offer a special holiday box that can be shipped to the person(s) of your choice and has the option to contain items for your family (ie Holiday De-stress Spray, Bath, and Tea) or something you can give as gifts (ie lip balms, healing balms, Sprays, Herbal tea blends, Vanilla Extract Kit, Herbalist Kit, etc. ) and we will provide a form so you can fill out your preferences. 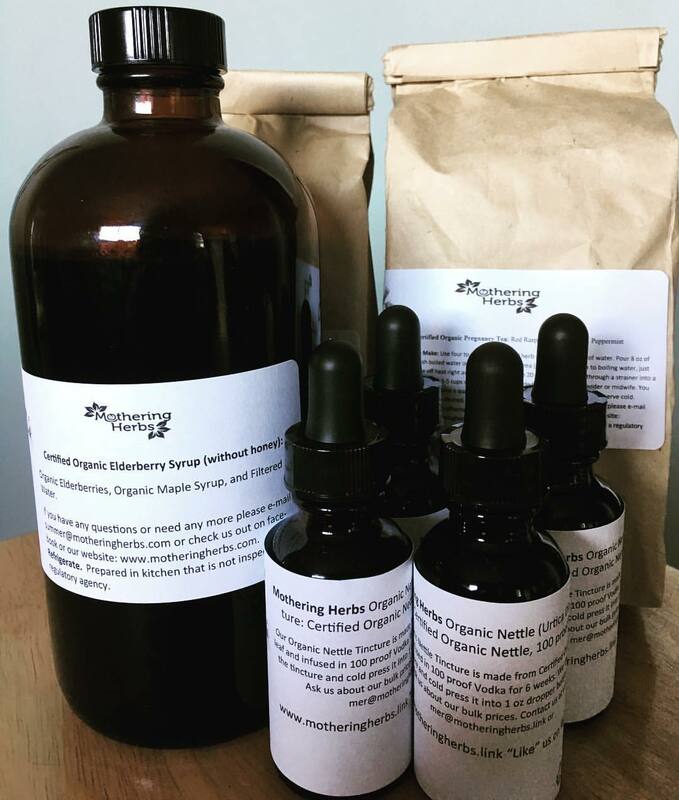 Fall Large Share Example: Fall wellness basics (Elderberry Syrup, Healing Balm, Fresh and Locally harvested Holy Basil Tincture, Lip Balm, Fall herbal Tea Blend, Fall Blend Home and Body Spray. Please check which (1 or 2) items you would like. If you don’t want something from this list, please choose (Small choose 3 items from List Two, Large chooses 6 items) from List Two. ___Elderberry Ginger Syrup the same immune support with a little warmth and stimulation from organic ginger root. ___Home and Body Spray (Scents: Lavender, Sweet Orange, Patchouli, Sage and Cedarwood, Peppermint, Lemongrass, or blends of any of these). If you didn’t want something from list one, please choose (Small choose 3 items from List Two, Large chooses 6 items) from List Two. Herbal Teas 3 oz each check which herb blends or singles or blend your own. ___1 oz Chest Rub for Adults or the over 10 crowd to help with chest congestion. ___1/2 oz Athletic Balm Sooths muscle pain, strain and aches. Have any questions? Ready to sign up? Contact us on the form below or place your order here! Posted on October 12, 2015 October 13, 2015 Leave a comment on What is CSH (Community Supported Herbalism)? Organic Herbs, Herbal Products, Workshops, Herb Walks, Consultation, Educational Programs, and More. We sell only the freshest handcrafted herbal products to provide you with the best possible nutrition and care. Why buy from Mothering Herbs? Fresh is best when it comes to herbs. We grow what we can and buy the freshest and best ingredients that we would use ourselves. We are a mother-owned and operated business. We are committed to helping women and families help themselves with herbs for the pregnancy year and beyond. Founded in 2008, Mothering Herbs is a combination of a mother and daughter effort. Ginger is a Master Gardener and has 48+ years experience with herbs and organic gardening. She moved to the Middle Tennessee homestead, where she currently lives, in 1977 with her husband to raise and home school two children without running water or electricity for ten years. In this location they along continue to use organic practices in their herb and vegetable garden. Summer grew up gardening and exploring the natural world first with her parents and later as an Outward Bound Instructor. 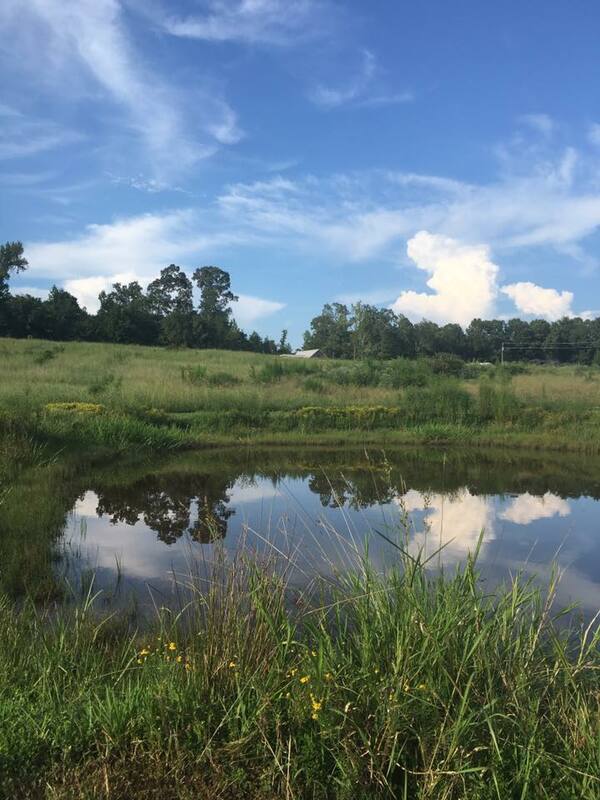 She now farms using organic practices with her husband and two young children in North-West Alabama. She has a Bachelors Degree in Biology/History Education with a Masters degree in History from the University of Alabama in Huntsville. 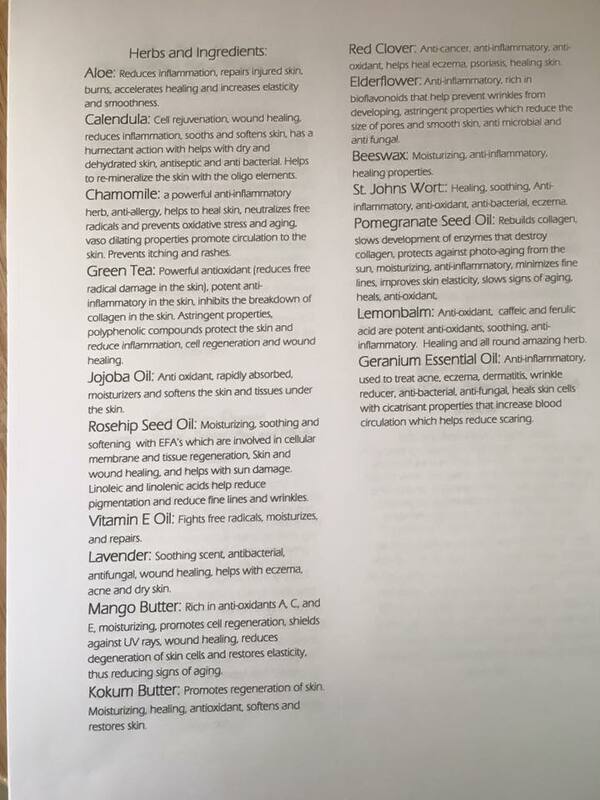 Summer is currently taking an Herbal Educator Course (400 hours) with Aviva Romm M.D., Herbalist and Midwife and has taken Webinars and Computer based courses with SevenSong and David Winston along with studying her continually growing library of herbal books. In 2007 Ginger became a grandmother for the first time and Summer, her daughter, became a mother. While helping her daughter journey through her first pregnancy, birth and care of her first child, Ginger found the thirty-three years of herbal experience she had from growing culinary and medicinal herbs was very useful. They also found that there was limited local and fresh herbal resources for midwives, pregnant women and families. Based on this they decided to start Mothering Herbs. Mothering herbs has since expanded to include organic herbs, herbal products, consultations, workshops, blessingways, school/homeschool educational programs, and herb walks. 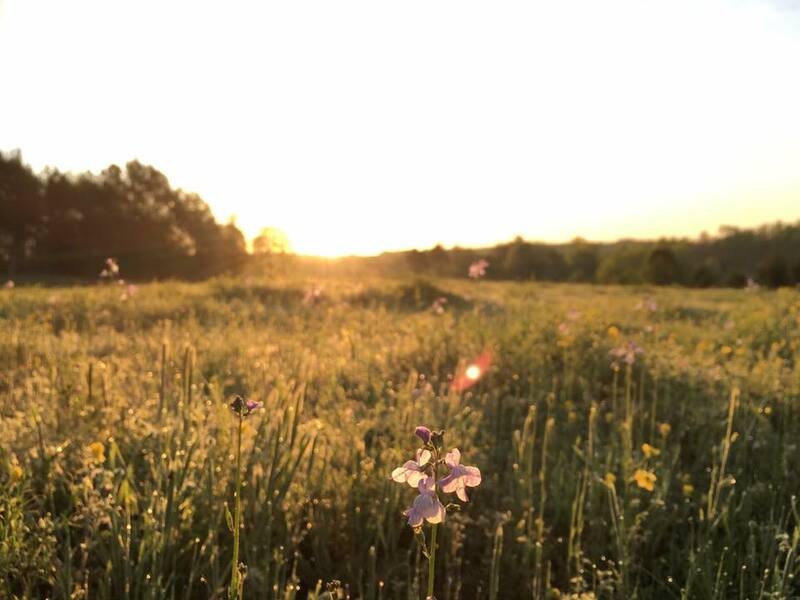 Most recently, a Community Supported Herbalism program was created and has pickup locations in Florence and Huntsville. Summer is also working with Ashley Baker Haselton of Ashley Baker Yoga to offer hiking, backpacking and yoga trips in North Alabama and North Georgia. Ginger has decided to play a background roll in the business. She is still part of Mothering Herbs but enjoys growing, learning about herbs, and being a resource for Summer, rather than out in the front and center of the business. 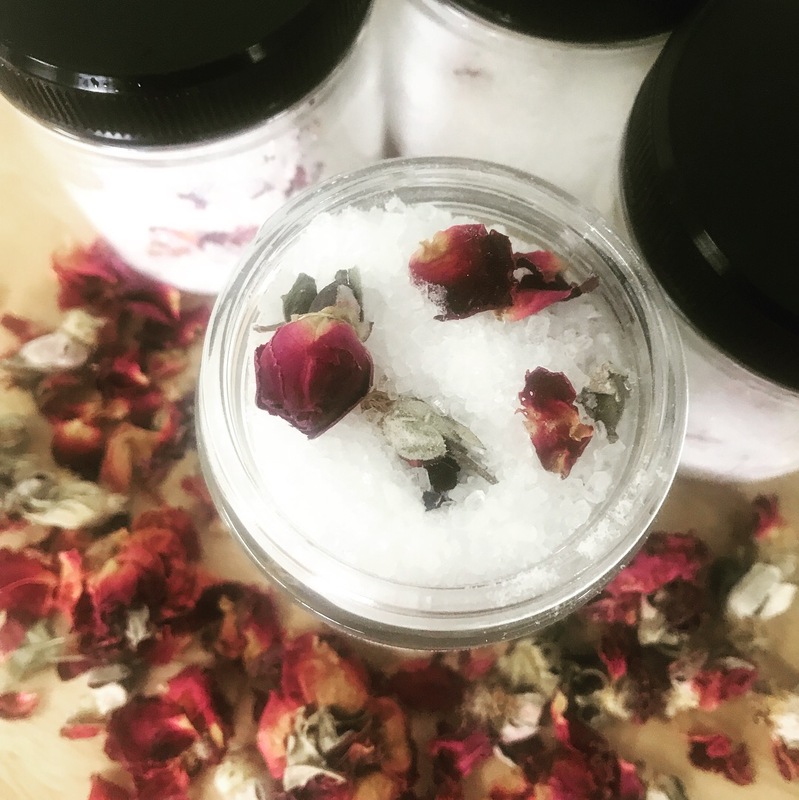 Summer Ware McCreless manages the website and facebook page, orders, makes the infused oil and balms, mixes the herbal tea blends, organizes and teaches workshops, classes, consultations, blessingways, and grows herbs in Wolf Springs, AL. She will be happy to create an custom hand crafted herbal order for you! Sign up for our monthly newsletter! It is filled with fun herbal info, recipes, classes, workshops, and what we are up to. We hope you will come grow with us!